My younger daughter surprised me when she asked for a desktop PC prior to heading off to graduate school. She had been using an HP Omen, which included reasonably decent graphics (mobile GeForce GTX 960) as well as a quad-core processor. 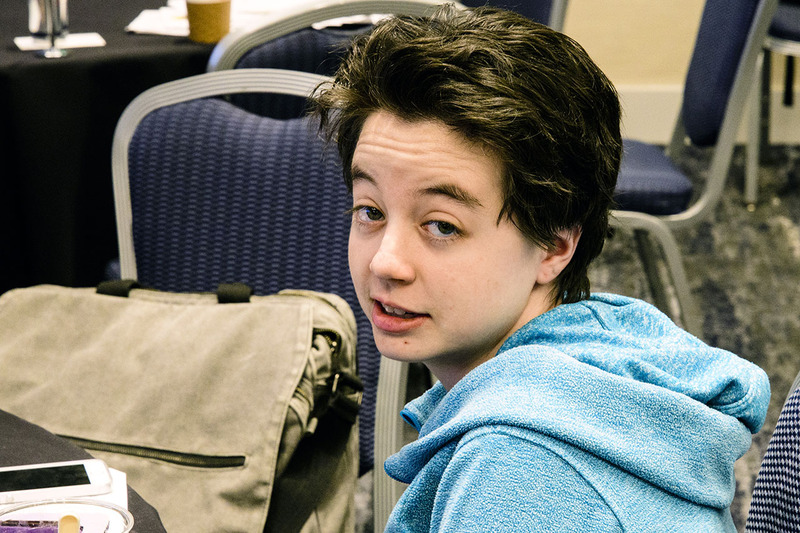 I’d often see her online playing Dragon Age: Inquisition, Fallout 4, and other PC games. Apparently, though, trying to play Rise of the Tomb Raider convinced her that her laptop no longer handled games well. So I built her a PC. Emily’s reasonably tech savvy, but she’s not into disassembling a PC to troubleshoot it. So while the PC needed to offer good gaming performance, reliability remained a top goal. Secondary goals included longevity and relatively quiet operation under load. I’m not going to walk through every step of the build, but let’s look at the key components, and how they met the goal of performance, reliability, and longevity. 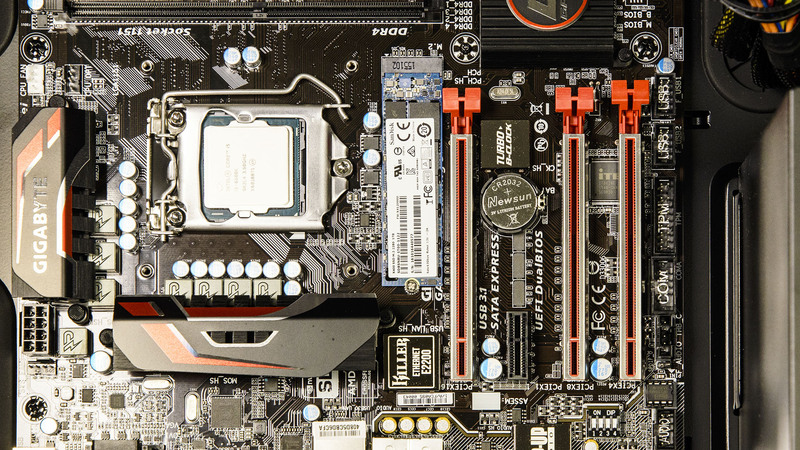 CPU, motherboard, and memory make up the base platform for the system. The motherboard trumped the CPU, because I needed a platform I knew would be reliable. 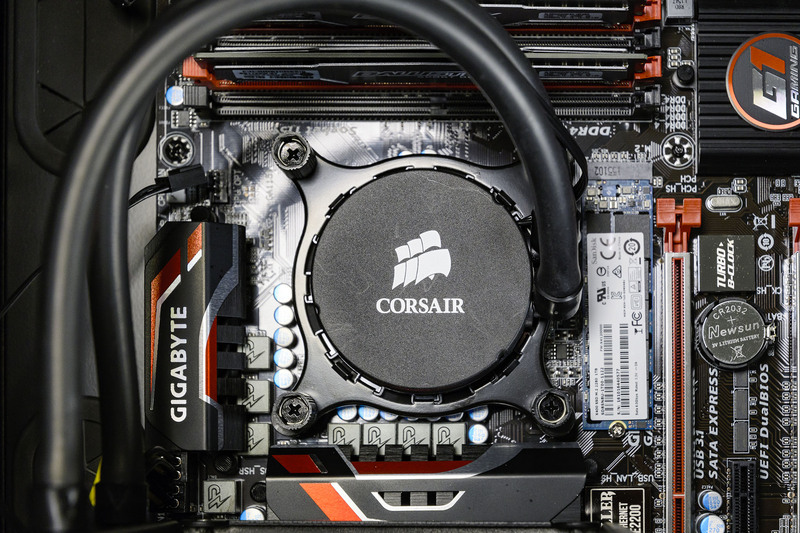 I’d been running a Gigabyte Gaming 5 micro-ATX motherboard (GA-Z170MX-Gaming 5) in one of the test systems in my basement lab, which ran flawlessly, that became a natural choice. The Gaming 5 includes four memory sockets, four PCI Express slots (including one PCIe x1 slot), reasonably good integrated audio, and am 80mm M.2 SSD slot. That last feature allowed me to use an M.2 SSD, minimizing cable clutter a bit, though as we’ll see shortly, the PC still needed a pair of SATA connections. 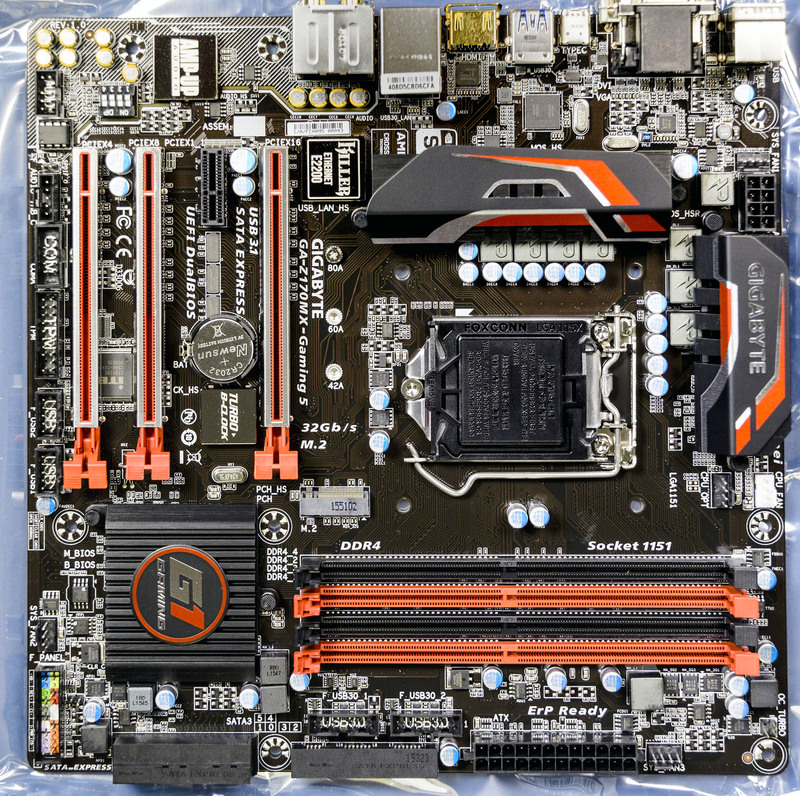 This micro-ATX motherboard, based on Intel’s Z170 chipset, inlcudes seven USB ports, though one USB 3.1 port uses a USB-C style connector. That helps in the future-proofing department, but is less useful in the short term. An Intel Core-i5 6600K Skylake processor went into the CPU socket. I also wanted the system to include enough memory to scale with current and future games, as well as be usable with photo editing and other media apps, so I added in 16GB of Crucial Ballistix DDR4 memory which comes as a pair of 8GB modules. That takes care of the base platform. Now let’s figure out how to house our components. Recall the secondary goals: longevity and relatively quiet operation. I’ve found that one of the keys to long PC life is to start with a good power supply. A decent PSU needn’t be hugely expensive, but you do get what you pay for, up to a point. 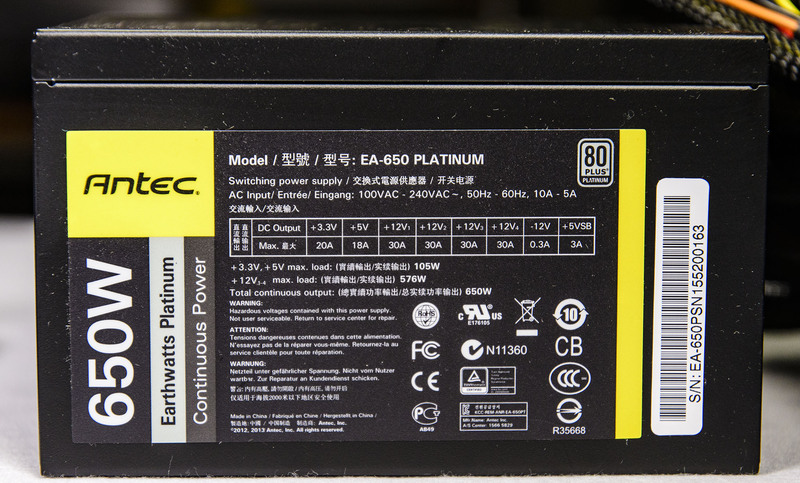 An Antec Earthwatts 650W 80+ Platinum power supply would power the system, with the added bonus of offering pretty minimal noise. When it came to the case, however, I gave in a bit on the noise requirement to save a little expense. I already had a new Corsair Obsidian 350D on hand. 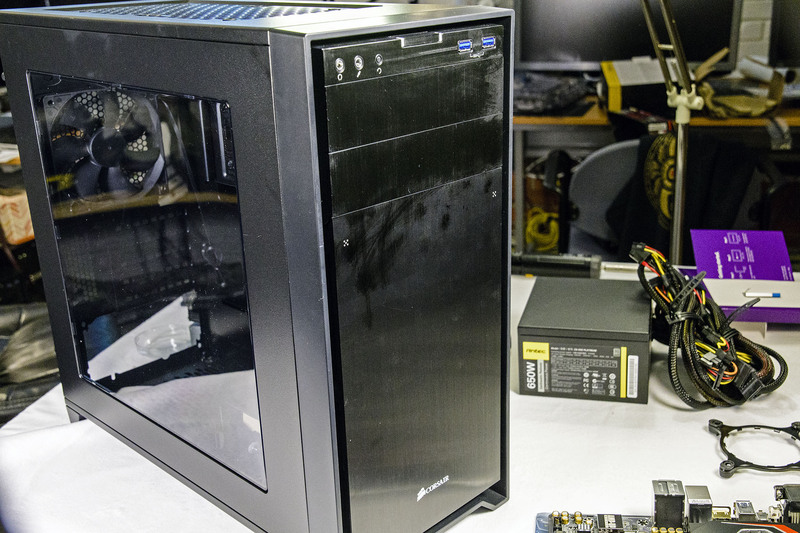 By no means a bad case, Corsair builds the 350D from sheet steel, and includes a transparent side panel. The case lacks any sound dampening material, but I did replace the included Corsair fans with quieter Scythe fans on the front. I also replaced the rear case fan with something a little different, as we’ll see in a moment. 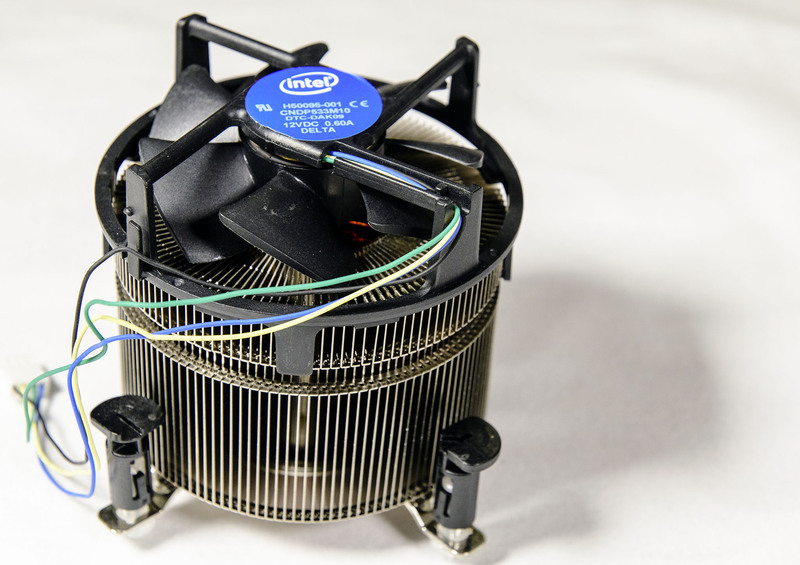 I’d originally picked up an Intel TS15A CPU cooler, which stands about twice the height of Intel’s stock coolers. I needed a separate CPU cooler anyway, since Intel classes the 6600K as an “enthusiast” processor and doesn’t include a stock cooler. That ended up being a mistake. I dropped it into the system and discovered it to be unusually loud. I’m not sure if the problem was actual decibels or the quality of the whine emanating from the cooler. Whatever the issue, I popped it back out quickly. The super-noisy Intel TS15. Don’t buy this if you want a quiet PC. One of my primary goals remains reliability, which also translates to simplicity. I felt a relatively bog-standard air cooler would be less problematic if Emily ever needed to pop the system open and troubleshoot it. In the end, though, the Corsair H55 won out. That takes care of case, power supply, and cooling. What about storage? Well, what about it? Remember that M.2 socket? I discovered Sandisk had been shipping their X400 SSDs as M.2 cards as well as standard 2.5-inch drives. The X400 uses SATA as its transport, which means it might be slower than a PCI Express-based M.2 drive. That wouldn’t really matter for this system, and since I could pick one of these up for well under $300, it turned out to be a good deal all around. 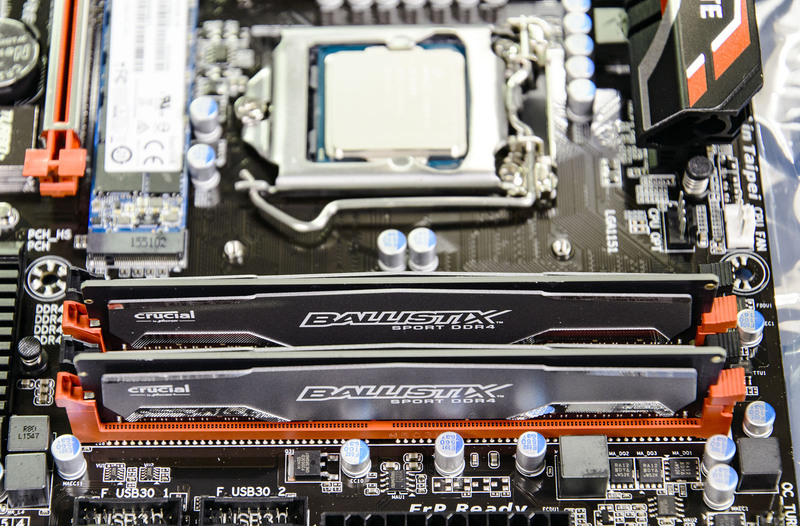 You can see the M.2 card installed between the CPU socket and the first PCIe slot. In addition to an SSD, I installed some flavor of LG Blu-ray drive I had lying around the lab. She does occasionally need an optical drive for school, so I popped in one I already had. I also installed a new Western Digital Caviar Black 1TB hard drive, mainly as a backup drive. I worried a little about installing Windows 10 onto the SSD, as some users have encountered issues installing Windows 10 onto M.2 drives, but since the X400 looked like a SATA drive to Windows Setup, everything went smoothly. Wait, What Did I Forget? Oh, yeah, I forgot about this. 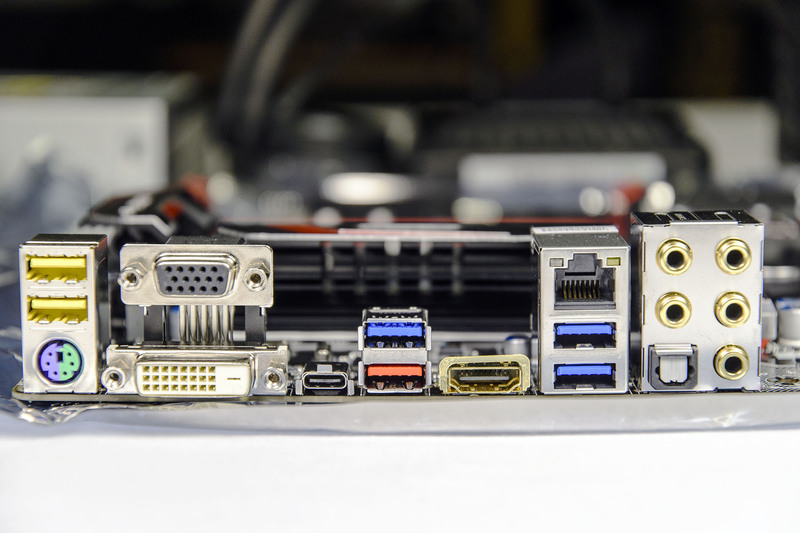 A good gaming rig needs a good graphics card. So an eVGA GeForce GTX 1070 SC now lives in her PC, which should give her good gaming performance. She uses a fairly low-cost BenQ 25-inch, 2560 x 1440 IPS monitor as her primary display, and the GTX 1070 matches up pretty well. Actual assembly of all the components went smoothly; after all, I’d built a nearly identical system a couple of months earlier. The only major differences included the graphics card and M.2 SSD. Now the system lives with her in her college apartment. Every now and then, I see her ID pop up in Steam or Origin.